We're coming up to the last Bank Holiday of the Summer here at Trackhunter HQ in the UK, but still plenty of warm sunshine and time for a final holiday of the season which ends in a month's time. So we thought it would be good to pick out a few good books about dance and black music to accompany and chilled session by the beach or the poolside. A lot has been written about music, in particular the classic rock 'n' roll story, but dance music is less well served. Perhaps it's due to the nature of the music, in that an awful lot of it appears faceless or moves at such a pace that documenting it is not so easy. That said, there is still a lot of good titles out there that you can pack in your suitcase as you jet off for the final Ibizan party and those quiet moments in between recuperating. 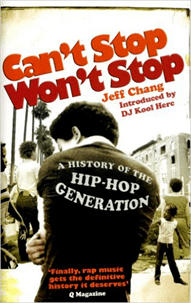 Truly one of the greatest books ever written about hip hop culture and it's rise to global dominance. Chang's first book won many honours including the American Book Award and the Asian American Literary Award. This is without question a true representation of how hip hop, against so many odds happened thanks to a small band of like-minded individuals. Tales of how breakdancing almost died before it began and Chuck D's early activity as a devastating MC on the block party scene before forming Public Enemy are just a few of the incredible stories. Chang goes way back to the politics of a nation and how from immigrants, gangs and radicals a new form of music and culture was born. Engaging and entertaining, this is the one book you need to read if you want to know the straight up truth about hip hop. 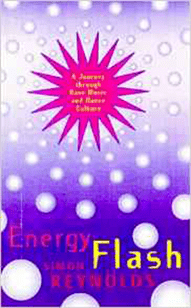 Written almost two decades ago, this is one of the definitive guides to those heady days of acid house and rave. A mammoth collection that charts the history and ultimate rise and fall of one of youth's greatest tribes. The book tracks back to the origins of the scene with the early Chicago and Detroit influences right up to the multitude of subgenres that were spawned as a result. It features a wealth of interviews with key players from the scene including Paul Oakenfold, Carl Craig, The Prodigy and Goldie to name but a few. Well written and engaging, you would be hard pressed to find a document that captures that era in such depth. If you are lucky you may even purchase a copy which comes complete with a CD of 15 tracks from the period. The book was updated in 2013 by Reynolds and is also available as an e-book. e-book - geddit? 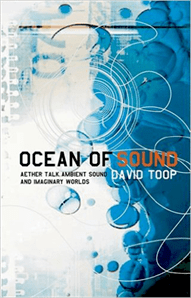 David Toop is well qualified to write about music, he has penned titles around the growth of hip hop, music improvisation and exotica. Ocean of Sound is as chilled as it appears and is a wonderful accompaniment for any beach side residency over the late summer. With interviews with Lee Perry, Kraftwerk and Aphex Twin you know that this will make for an interesting read. The story starts in the 19th Century and Debussy's first taste of Japanese music and swings forward to the present era and the beautiful sublimeness that is ambient. More highbrow than your typical electronic music title, but a worthy one to sit upon any self-respecting music head's book shelf. We interviewed the legend that is Bill Brewster for Trackhunter over the last few posts and his co-authored title is well worth a mention. 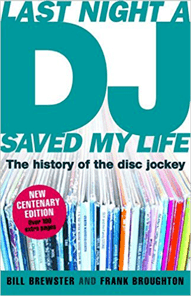 Last Night a DJ Saved my Life is truly the definitive story of the DJ, a story that goes back much farther than most ever imagined. Brewster and Broughton take us back almost a whole century to the big bands and emergence of radio when the DJ began to appear within culture. Even back then some of the first DJs became huge stars as the masses found it hard to hear the latest music being played at the large music halls across the United States. We are taken on a journey through the emergence of the radio jockey to the first proper clubs to focus on dance music and what became the art of DJing and mixing. The book is filled with facts and information on each page and provides a chronological timeline up to the modern day DJ. For anyone truly interested in the art of DJing and cult of the DJ then we strongly suggest you track down a copy of the updated version. It is fitting that arguably the most famous of UK clubs should have it's own history captured by one of the people who ran it. Tony Wilson using New Order money propped up the failing club when it was very much a case that it was ahead of its time. Anyone who has ever been to the Hacienda will know there is something special about it, and a book by the ex-New Order bassist and Hac51 co-owner tells the whole story. As you can imagine it is a rollercoaster of laughs, chaos, success and failure. 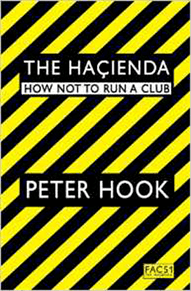 Hook has never been one to mince his words and the book captures the early days when a young New Order were playing to huge audiences whilst their club was almost empty. As time went by the legend grew and in the end the club grew to help shape modern dance music and club culture. Every blood, sweat and tear that dropped on that famous wooden floor are captured perfectly for the reader. Pirate radio does not hold the prominent place in dance culture it once did in the late 1980s and 1990s, nevertheless it was instrumental to the whole scene developing. So it is important that a book like this has been written by Hebditch. There have been several books about pirate radio, in particular the 1960s sea-dwelling innovators, but London was the true hub for pirates pre and post acid house. 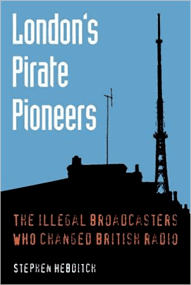 Pirate radios ran the length and width of the UK for almost a decade before most were shut down as such as the BBC picked up on dance music's popularity. As with Brewster's book, this is a chronological history of pirate radio from the 1960s but comes right up to date with the rave and soul stations that flourished across the capital. The book contains many pictures and flyers and the main stations. Pirate radio stations still operate but for many dance music enthusiasts, they may be unaware of what an important place they held in pushing dance music out to wider audiences years before the Web and social media.